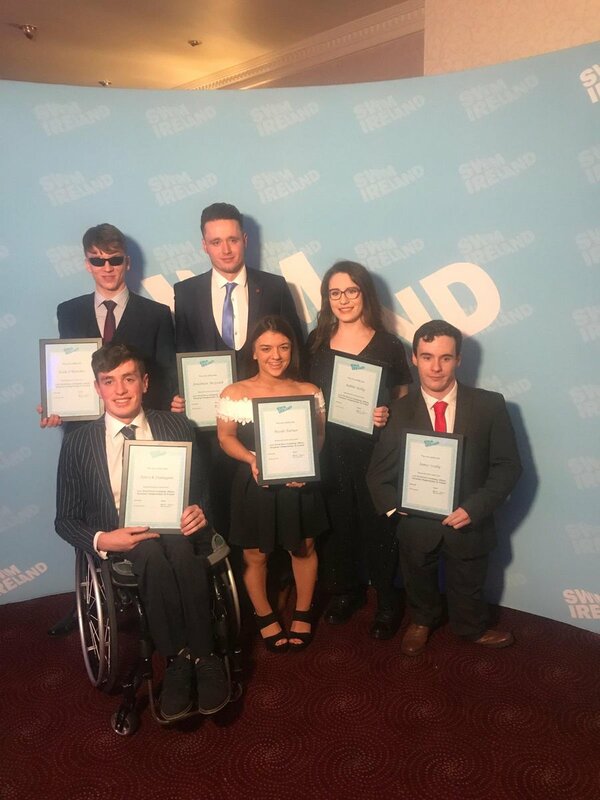 Irish Para Athletes were honoured at the end of season awards for both Swim Ireland and Cycling Ireland over the weekend. The Swim Ireland awards took place in Clare on Saturday night where the great of Irish swimming were recognised after a long and successful season. Amongst that number were the Irish Para Swimming squad that performed so heroically at the World Para Swimming Allianz European Championships last August. The team had a great championship in their home pool culminating in 3 European Championships medals thanks to Ellen Keane and Nicole Turner. David Malone was also singled out for an award as he was selected as the performance coach of the year. Former Paralympics Gold medallist, Malone, was selected as the performance coach of the year after guiding the swimming team to that great performance at #Dublin2018. David Malone is the Head of High Performance for Paralympics Ireland. He was joined as an award winner by Ellen Keane who was selected as the Para Swimmer of the Year after her double medal winning performances for Team Ireland at Dublin 2018 including that amazing gold medal winning performance on the final day of the World Para Swimming Allianz European Championships. Elsewhere, at the Cycling Ireland awards, Katie George Dunlevy and Eve McCrystal were selected for a Special Achievement Award after claiming double gold medals at the World Championships for the second year in a row. Congratulations to the Irish Para Swim team, David Malone, Ellen Keane and the World Champion tandem cycling team of Katie George Dunlevy and Eve McCrystal.